Blackmagic Forum • View topic - Can anybody tell me what this 8k action camera is about? 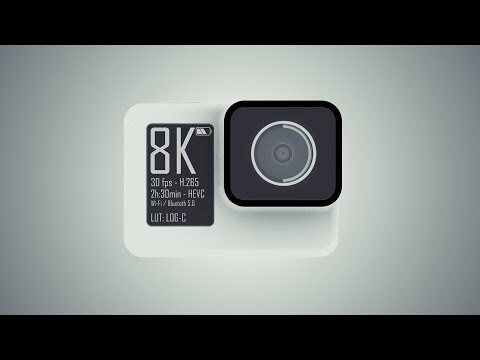 Can anybody tell me what this 8k action camera is about? Found this strange video, but no other details. 8kp30 34mp, 150 min. A LOG-C LUT. Does anybody know anything about this? Re: Can anybody tell me what this 8k action camera is about? Looks like a very early concept stage render. Might not be serious at all as there is no brand name anywere.. I tried looking up the guy, but didn't find a connection. So, I don't know a plan, a hope or other. Pretty surprised that somebody hadn't released non 360 degree things based on this, but the sensor market has been strangled. Therw is a xompa y who likes to control standards, which is probably why we haven't seen preliminary 8k products in general much. If the standards support has been held back, why make products. But 2017 was enough of a delay.